An inquisitive herd of cows was all it took to prompt Ian Ellis, who was birdwatching at Frampton Marsh nature reserve in Lincolnshire, U.K., to take a closer look through his telescope late last month. 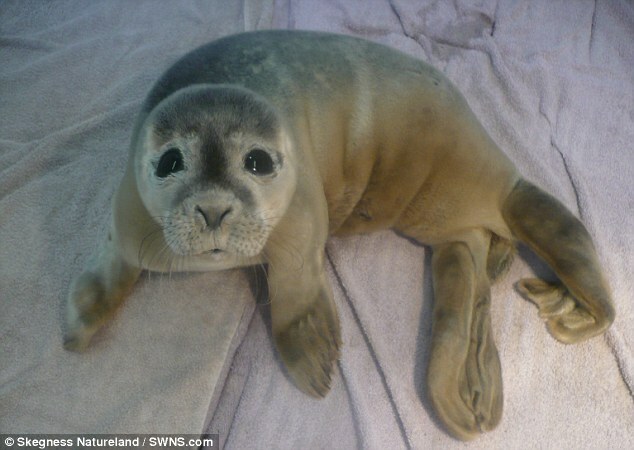 But instead of a bird, when Ellis looked closer, he was startled to see a seal pup peering back at him. 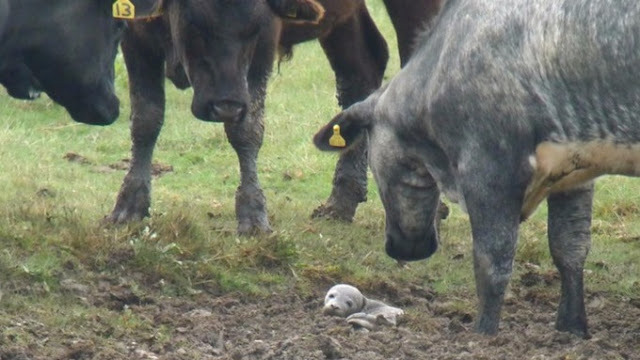 The seal was stuck in a mud puddle while curious cows looked on. 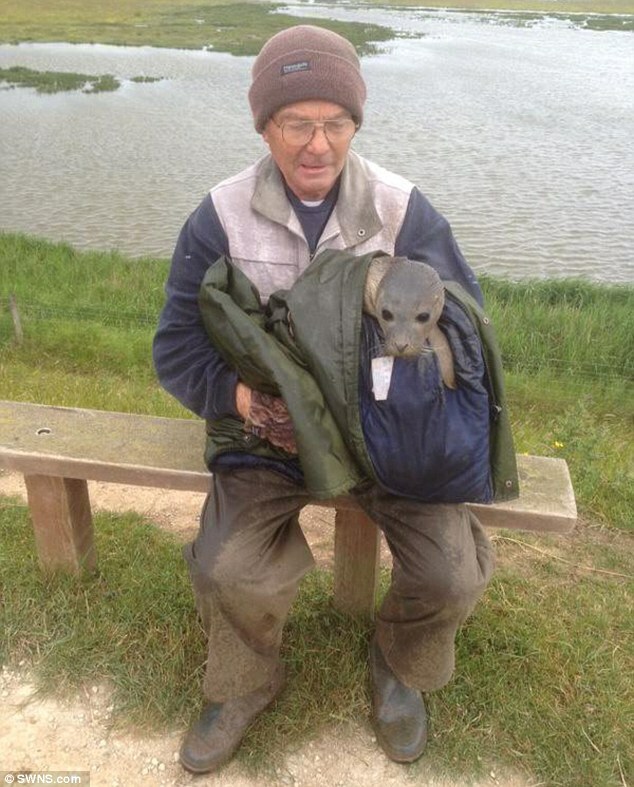 Ellis and caretakers at the reserve were able to rescue the seal from the marsh. Officials believe the animal was probably swept in by a tide from the North Sea, according to ABC News. Veterinary staff at the sanctuary say the seal was underweight, dehydrated and suffering from a lung infection at the time it was rescued. Were it not for Ellis and the curious cows, the seal would most likely have died. The pup is expected to be out of the hospital by the end of the month. Once it's rehabilitated it'll be released back into the wild. 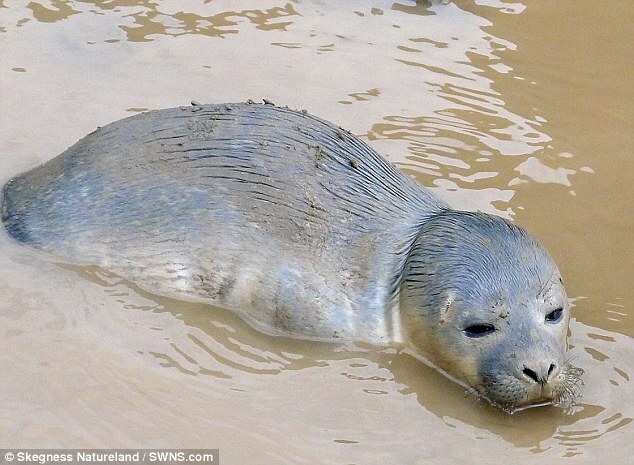 Responses to "Stranded Seal Pup Saved Thanks To Curious Cows"